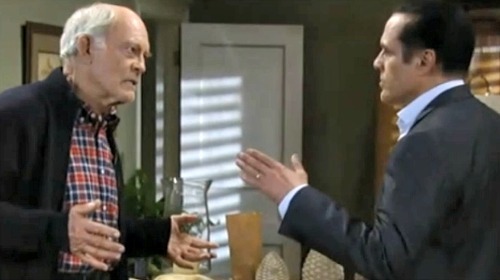 General Hospital spoilers reveal that the Corinthos family, and in particular, Sonny Corithnos (Maurice Benard) will soon have some very difficult decisions to make, regarding his father, Mike Corbin (Max Gail). General Hospital viewers know Mike is not truly missing. On Monday, March 5, Mike had initially been thought to be missing after the earthquake. He had recently been diagnosed with Alzheimer’s, and the last time we saw him previously was on Wednesday, February 28, and grandson Michael Corinthos (Chad Duell) had taken him upstairs in the Corinthos home for a shower. 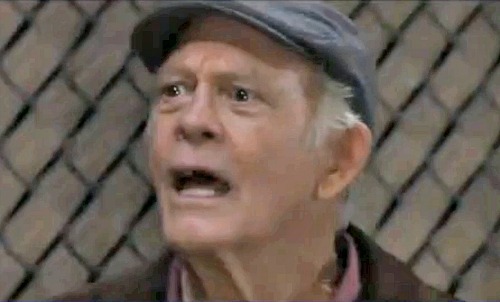 Mike was under the impression that now he could return home, to his beloved Rita (Suanne Spoke) who earlier in the day had told Carly Corinthos (Laura Wright) that she knew she couldn’t handle being Mike’s caretaker, now that he has this devastating degenerative disease, and returned home to New York City in tears. Previously, Mike had gotten himself into a bit of trouble in Ava Jerome’s (Maura West) art gallery, where he thought he was in Luke Spencer’s club and accidentally destroyed a piece of expensive art on the episode of February 22, and before that, thought he was still running Kelly’s and caused a commotion and accidentally broke a coffeepot on the episode of February 15. Mike had avoided arrest at Kelly’s thanks to the interventions of Sonny (Maurice Benard) and Michael, and the responding police officer’s memory that Mike did indeed used to own and run Kelly’s; however he had not been so lucky at the art gallery, and spent a night in jail thanks to the no-nonsense new partner of Dante Falconeri’s (Dominic Zamprogna), Chase (Josh Swickard). Now Mike has turned up in the Charles Street neighborhood, having looked for his old apartment. He is seen in the construction trailer trying to help get a large cabinet off Franco (Roger Howarth) and eventually encounters Jason (Steve Morgan) and Sam (Kelly Monaco), in their search for Drew (Billy Miller). Poor Mike can’t even remember the events of a few minutes before, and why he was there, and doesn’t even mention the earthquake! Sonny will have to ensure Mike is in a truly safe place before he winds up in even more trouble or worse, although it looks like it will be Jason and Sam to the rescue this time. What could happen next time Mike sneaks out? It will likely take quite a while for Port Charles, and in particular the Charles Street area where the epicenter of the earthquake was, to be safe again from the results of the earthquake. Could Mike be found somewhere outside the Corinthos compound, possibly trapped somewhere in a building that has been damaged? Will he be found outside of Port Charles, and show up at Rita’s, confused, and emotionally hurt, but physically safe? Or could he be found inside the Corinthos compound, but fall and be lying injured somewhere on its grounds? If Mike managed to slip out of the Corinthos compound unnoticed, with all of Sonny’s security precautions, cameras, and guards, how do Sonny and Carly think they can care for poor Mike any better than Rita thought she could (which she knew she couldn’t)? 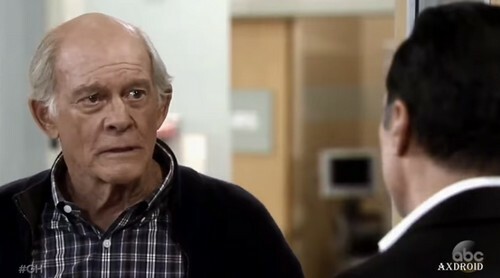 General Hospital spoilers point to Sonny having to make a very difficult decision which both he and his father will hate – putting him in a specialized Alzheimer’s care facility with staff that is professionally trained to care for Alzheimer’s patients. This institutionalization would break Mike’s heart as well as Sonny and his entire family. Can the gang possibly find a solution that allows Mike a decent quality of life despite his terrible eroding disease? Be sure to tune into General Hospital and General Hospital Spoilers to find out what happens down the road!